In electronic music, Christian Burns’ collaborative roll call is about as starry as it gets. BT, Tiësto, Armin, PvD, Chicane, Oakenfold, Corsten - just some of the names who, over time, have sought out his unmistakable voice and incisive lyrics. It is indeed a far greater rarity to see the GRAMMY nominated singer/songwriter’s name unlinked to an international superstar and running entirely solo. On his latest work however, it’s with good reason. In virtually every respect, ‘You’re Not Alone’ is a departure from Christian’s best-known-for. Cool of tempo, but rich in harmony and stylish ether, in its original form the track places yet greater emphasis on penetrating lyrics, affecting emotion and cooler production sophistication. 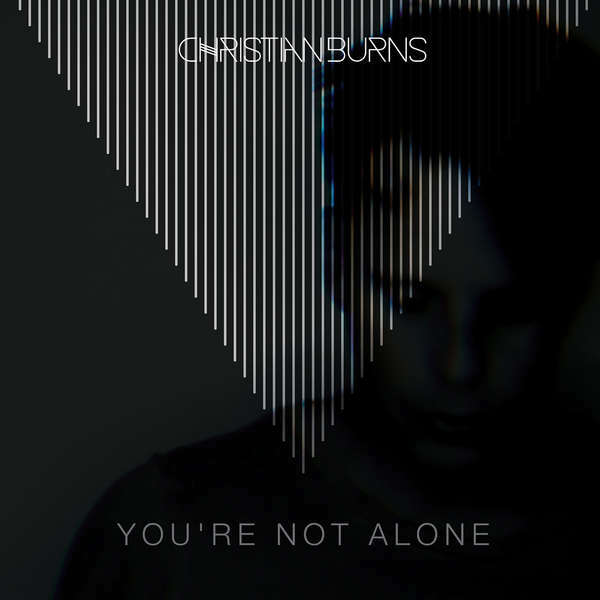 Through ‘You’re Not Alone’, Christian relates an equal parts uplifting and elegiac tale, instilling an innate balance between its feel & fever. Yearning verses slowly increase its emotional fire, while its quietly wrenching chorus releases the tension cathartically. Musically it draws on analogue-sounding synths, which add an understated 80’s aura to its production. Christian’s voice however keeps it anchored firmly in the contemporary here-&-now.